The judgment in Howard & Ors v Chelsea Yacht And Boat Company Ltd & Anor  EWHC 1118 (Ch) provides a useful “cut out and keep” summary of the principles relating to applications for a split trial. 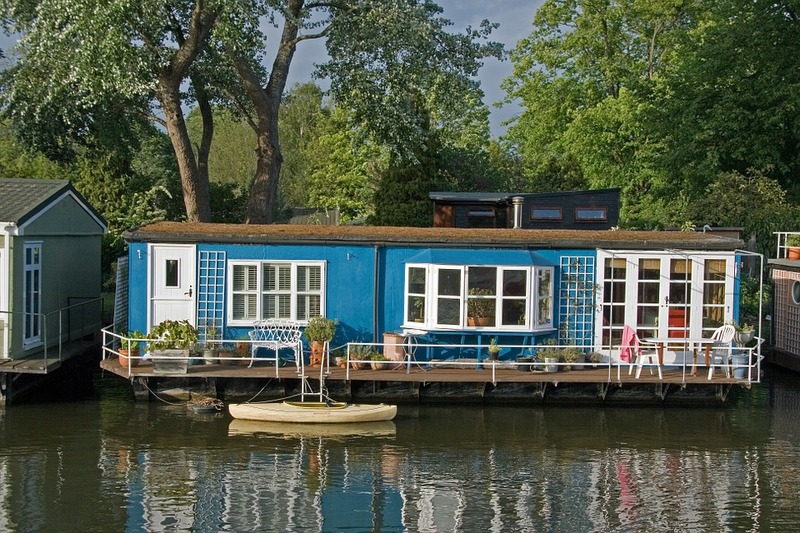 The claimants were occupants of houseboats moored at Chelsea Reach. They brought an action claiming that the defendant was unlawfully overcharging them for mooring costs. The defendant applied for the trial of a preliminary issue as to whether it was appropriate for the court to exercise its discretion to grant one of the declarations sought (that the defendant was committing a criminal act by charging additional fees for mooring). Master Clark considered the legal principles governing applications for the trial of a preliminary issue. The Court of Appeal has warned on several occasions of the risks of delay and increased costs resulting from trial of preliminary issues, particularly in complex cases. In Rossetti Marketing Ltd & Anor v Diamond Sofa Company Ltd  EWCA Civ 1021,  Bus LR 543, Lord Neuberger described preliminary issues as offering a siren song to the parties. There have been other warnings as well, in the cases of SCA Packaging Ltd v Boyle  UKHL 37,  ICR 1056 and Bond v Dunster  EWCA Civ 455. It is clear from these authorities that I should take a cautious approach to deciding whether to order a trial of a preliminary issue. (iv) They should be triable without significant delay making full allowance for the implications of a possible appeal. I have considered this guidance and do not set it out. The Master then went on to apply those criteria to the application in this case. (4) whether the offence requires mens rea. In response, the claimants’ counsel submitted that determination of the Issue would not in fact dispose of the question of whether D1 had committed a criminal offence, as this is the basis put forward by the claimants as giving rise to their standing to bring the claim. This is expressly acknowledged by D1 in the annex to its application notice, where it states that the Issue is potentially decisive of the claim as a whole; and that if the claim to the Criminal Declaration is dismissed, the claimants will have no basis for maintaining the claim to the Civil Declaration. Thus, as the claimants’ counsel pointed out, the court’s refusal to grant the Criminal Declaration would not be determinative of the issue as to whether a criminal offence had occurred for the purposes of the claimants’ standing to seek the Civil Declaration. The court would, he said, still be required to determine that issue for that purpose. Determination of the Issue would not therefore result in a reduction in the issues to be decided by the Court, other than the narrow issue of whether the Criminal Declaration should be granted. In response to this, D1’s counsel offered (in the course of the hearing) an undertaking not to challenge the claimants’ standing to seek the Civil Declaration if a trial of the Issue were ordered. This, she said, would mean that, if D1 succeeded on the Issue, the trial would only be in respect of the issues relating to the Civil Declaration, namely the construction of the RWL and whether the Court should exercise its discretion to grant that declaration. I accept that if D1 gave an undertaking not to challenge the claimants’ standing at any stage of the claim, and it succeeded on the Issue, then the issues to be determined at trial would be confined to those arising in respect of the Civil Declaration. If, however, D1 failed on the Issue, then the trial judge (who might well be a different judge from the one who determined the Issue) would have to revisit the question of whether the court ought to grant the Criminal Declaration in the light of the facts as actually found by him/her at trial (even if those facts were largely or wholly undisputed). D1’s failure on the Issue might arguably result in the Issue being determined twice: firstly, on the facts assumed for its trial as a preliminary issue; and secondly, on the facts as found at trial. (2) a trial of the Issue, followed by, if D1 succeeded, a trial limited to the claimants’ entitlement to the Civil Declaration. D1’s counsel submitted that a trial of the Issue could result in a significant reduction of the time and costs of the trial if it succeeded on the Issue; because it would remove the need for determination of the issues set out at paragraph 33 above, which would involve significant costs. In particular, she said, investigating the identity of the persons who were the ‘guiding mind’ of D1 at the various relevant times (going back to 1993) would be difficult and time-consuming, when the current owner of the shares in D1 bought them in 2016. Investigating the state of mind of those people (for the purposes of determining whether they had mens rea) would also she said be a difficult and expensive exercise. I accept that determination of the Issue is capable of resulting in a reduction in costs, if coupled with the undertaking offered by D1. I am not satisfied, however, that the level of costs saved would be as significant as D1’s counsel suggested. The conduct which the claimants allege is a criminal offence is the granting of licences, which, in this case, was invariably done in writing; one would therefore expect the relevant documents to be reasonably readily available to D1, or available to the claimants. As for the persons at D1 carrying out the relevant acts, again, one would expect their identity to be apparent from the relevant documents. I accept there may be some difficulty in finding some of the relevant people, but I am not persuaded that doing so and proofing them as to their state of knowledge when granting the relevant licences would be as onerous and expensive a task as D1’s counsel suggested. If the trial of the Issue is conducted on the basis proposed by D1’s counsel in the course of the hearing, no significant effort is likely to be involved in identifying the relevant facts, or in resolving disputed facts. The claimants’ counsel submitted that it was wrong in principle to order trial of an issue on assumed facts. However, this course is expressly contemplated in McLoughlin. In addition, D1’s counsel referred me to §8.4.2 of the TCC Guide, which states that appropriate disputes for a preliminary issue hearing include those where “the defendant contends that, even accepting all the facts alleged by the claimant, the claim must fail…”. I do not therefore consider that the fact that the Issue would be decided on assumed facts is a reason for not ordering its preliminary trial. “1. The decision falls to be taken not as one of the high principle but rather in the light of a number of relevant considerations. He also referred me to R (Haynes) v Stafford Borough Council  1WLR 1365, in which the claimant (who was concerned about the welfare of birds) sought declarations, including that a bird fair involved the commission of criminal offences on the proper construction of the word ‘market’ in the relevant statute. The judge declined to make the declaration sought; but did give declaratory relief setting out his conclusions as to the meaning of “market”, without declaring that any particular person had committed a criminal offence. The claimants’ counsel also submitted that it was entirely possible that the court, having determined the issues concerning the construction of the RWL and s.70 of the Act, might decide not to grant the Criminal or Civil Declarations on the grounds that, the law having been clarified in the narrative judgment, it was not necessary to order any such declaration. Such an outcome would, however, provide the claimants with the relief they seek. The claimants’ counsel submitted that the trial of the Issue would prevent such a flexible approach from being adopted by the court, or his clients adapting their case in the course of the trial. As to the former, this is in my judgment met by D1’s proposal that the Issue would be determined on the basis that all the facts alleged by the claimants were true; facts before the court will be settled at the commencement of the trial, and there will be no need for the court to respond to developments in the factual position as the trial progresses. As to the latter, in my judgment it is incumbent on the claimants to set out, in their Details of Claim, the full range of the relief they seek. To the extent that relief sought might vary according to the facts found by the judge, then the proper occasion on which possible alternatives should be put to the judge to reflect that variation is in the pleaded case, not least to enable the defendants to respond to it. So, I do not accept that determination of the Issue would deprive the claimants of flexibility – because they ought in any event to set out the range of relief sought by them in their Details of Claim; but it does give rise to the risk of their amending, considered in paragraph 52 below. As to the risk of increasing costs, in my judgment this is a real risk, arising from D1’s failure on the Issue, and the consequent duplication of time and effort resulting from there being two trials rather than one. (2) For a trial of 2 – 5 days: 1 January 2019 – 31 March 2019. It is not in my judgment realistic to proceed on the basis that the trial of the Issue could be disposed of in 2 days, including judicial pre-reading time. This application was listed for 2 days, including ½ day judicial pre-reading; although submissions were in the event heard in a single day. In my judgment, 3 days is a realistic estimate. The trial of the Issue would therefore not be heard until early 2019, the same period when the trial of the claim would be heard. This is in my judgment a very significant factor. I also have in mind the highly acrimonious nature of this dispute, giving rise to allegations and cross allegations of iniquitous ulterior motives on both sides – which I am not in a position to resolve on this application, and which are marginally relevant. Whatever the outcome of the determination of the Issue, an appeal seems likely; and this would give rise to more delay. Although the Issue may ultimately be irrelevant – if, for instance, the claimants are unable to establish that D1’s conduct is in breach of the RWL – I accept D1’s counsel’s submission that this does not of itself detract from the value of it being determined at preliminary stage, because both sides will need to prepare for it to be determined at the trial if it is not determined before. However, the claimants’ counsel submitted that if, as D1 proposes, the trial of the Issue proceeded on the assumption that the claimants were correct in their interpretation of the RWL (and had obtained a declaration to that effect) and were also correct in their understanding of the effect of s.70 of the Act, it was, he said, inconceivable that a Court might conclude that it would never make the Criminal Declaration. If so, then, he said, the preliminary issue would simply be an expensive waste of time and money. By contrast, D1’s counsel submitted that the merits of its position that the exceptional circumstances necessary for the court to exercise its jurisdiction were wholly lacking were so strong that I should proceed on the basis that they were very likely to succeed on the trial of the Issue. I did not hear full arguments on the merits, and it is not obvious that either side is bound to succeed on the Issue. Nonetheless, I consider that there is serious risk that the court would not decide the Issue in D1’s favour, or indeed might decline to decide the Issue at all, and adjourn it to the trial judge. I have already adverted to the possibility of the claimants seeking more limited declarations than that currently sought. In this context, the risk of the Claimants amending the relief sought by them if the Issue were determined against them seems to me to be a further significant risk. D1’s counsel submitted that it was just and proportionate to order a separate trial of the Issue. She said it was unjust that D1 should have the Criminal Declaration hanging over it. This was, she said, an extremely serious matter where the civil courts were not the normal forum; and the claimants could bring a private prosecution in respect of the alleged offence. This, she said, justified an early determination of whether the court was in principle prepared to entertain the claim. As to this, the claimants’ counsel pointed out that the criminal offence created by s.70 of the Act is a summary only offence. It is therefore too late for D1 to be prosecuted for any past breaches, because an information must be laid within 6 months – see s. 127 Magistrates Court Act 1980. He also submitted that it was not in either side’s interests to wait for, or to deliberately create, a potential breach by D1, and then for the claimants to pursue a private prosecution. There was, therefore, he submitted, no obvious alternative to the claim, by which the claimants seek clarity from the court as to whether D1’s proposed course of action – to charge the claimants a premium – is lawful or illegal. It is also relevant in this context that establishing the criminal offence is (absent D1’s proposed undertaking) an essential element of the claim for the Civil Declaration. I accept that D1 has a legitimate interest in having the question of whether it has committed a criminal offence determined within a reasonable timescale; but not on an expedited basis. The appropriate timescale for the Issue to be determined also has to be evaluated in the context of the progress of the claim, and D1’s application, which was issued on 31 July 2017 and the hearing of which was adjourned by agreement of the parties. D1’s counsel also relied on the fact that the summary judgment application remains to be heard. She submitted therefore that the trial of the Issue could conveniently and proportionately be listed at the same time as that application; and submitted that the evidence and the substantive issues would be the same. The advantage of a trial of the Issue would, she said, be that it would enable the court to explore the matter more fully, and thereby reduce the prospect of appeal. No or no significant extra time would be involved and there would be no extra delay. In any event, D1 seeks directions for the listing of the summary judgment application and the strike out application. The claimants’ counsel submitted that I should list both applications to be heard at trial. I accept that the substantive issues would be the same on an application for summary judgment in respect of the Issue and a trial of the Issue. However, D1’s counsel’s superficially attractive argument is, in my judgment, flawed. If the summary judgment application succeeds, then a Trial of the Issue will be unnecessary. If the summary judgment application fails, then this will be because the court considers that the Issue is unsuitable for summary determination and ought to be tried (at a hearing that will be significantly longer than the hearing of the summary judgment application). I have already concluded that there is no proper basis for expediting the trial of the Issue. The fact that the summary judgment application is to be heard does not therefore provide a proper basis for D1 to obtain an expedited trial to which it would not otherwise be entitled. I do not however consider that I should accede to the claimants’ counsel’s submission that the two outstanding applications should be adjourned to the trial judge, particularly where, as here, the trial has not yet even been listed. The general position is that a party who makes an application is entitled to have it determined within a reasonable period; and the claimants’ counsel did not put forward any reasons why that should not be the case here.